Hays Travel, in Aylsham and Sheringham, has launched its fifth annual Santa’s Sleigh appeal to spread cheer and change the lives of vulnerable children and young people this Christmas. 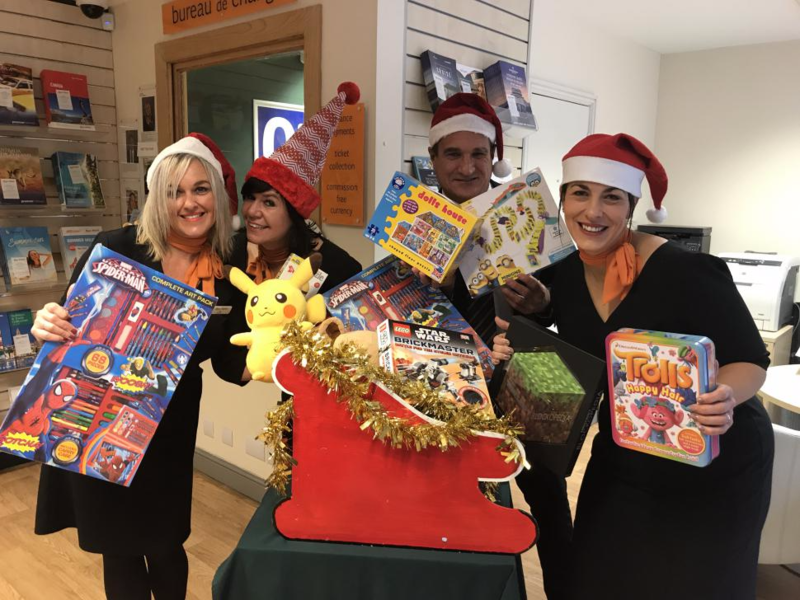 The team is asking people to pop into either branch and donate new, unwrapped items such as toys, gift sets, toiletries, household goods, stationery items or books in aid of the children and families that Norfolk-based charity Break supports throughout East Anglia. Break supports young people in care, children with disabilities and families who need support, helping them through difficult times and securing a brighter future. Branch manager of Hays Travel Aylsham (former CAS Travel) and initiator of the appeal Jo Dobbie said: “I like to be involved with the local community and there is nothing better than supporting a local charity especially in the festive season. I absolutely love Break’s ethos and this is a great opportunity for us to show support. Santa’s Sleigh started on Saturday and will run for four consecutive weeks until December 9. Pictured are branch manager Jo Dobbie, Sam Antoniades-Cork, Mark Heffer and Karen Ashford. This entry was posted in Aylsham, Cromer, Holt, Home Page, North Walsham, Sheringham and tagged Aylsham, Break, Charity, children, christmas, north Norfolk, presents, Sheringham on November 13, 2017 by Gay Webster.